South African comedian and viral internet sensation Donovan Goliath is headed for Durban for his first ever one man comedy show in the coastal city. He will unleash his comedy genius in Donovan Goliath Live at Sibaya’s iZulu Theatre on August 16 and 17, 2017. 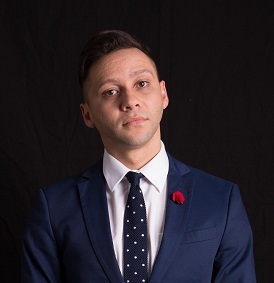 In this standup comedy special, Goliath looks back on the ups and downs of growing up in Mthatha as a white-looking, Xhosa-speaking coloured guy. He couldn’t help but see the funny side in 1994, when his Caucasian looks were suddenly no longer in fashion, and white definitely wasn’t the colour of the week! But now, his stories and experiences provide a multi-coloured arsenal of comedic material. Added to this, Goliath breaks out many of his well-known impersonations of famous characters, who find themselves in very South African situations. Whether it’s The Joker from Batman moisturizing with Zambuk, or The Transporter's Jason Statham driving a minibus taxi through the Cape Flats, Goliath’s skits will have audiences in side-splitting stitches. Donovan Goliath’s shows take place at Sibaya’s iZulu Theatre on August 16 and 17 at 20h00. Tickets R150 booked at Computicket and the Sibaya Box Office.